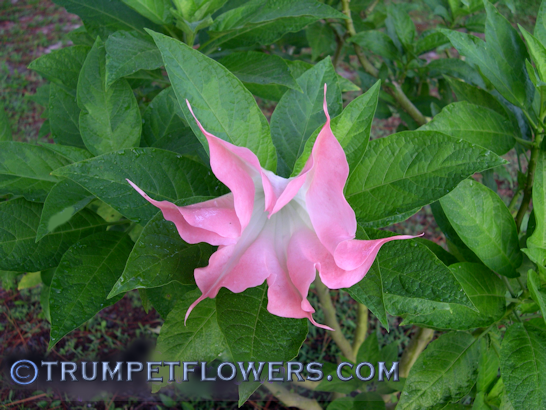 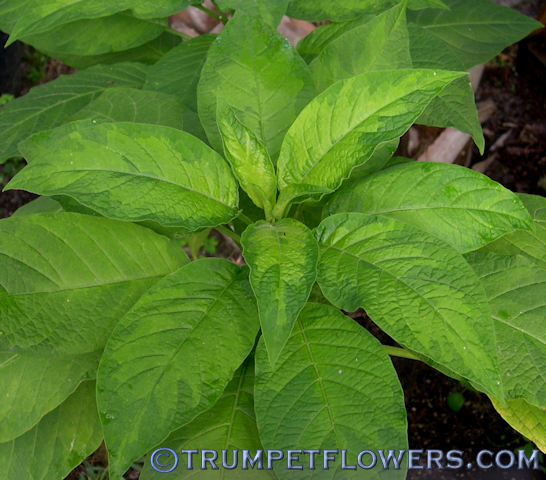 Angels trumpet Emerald Frost can be grown as a tall hedge in protected areas, or as a standard. 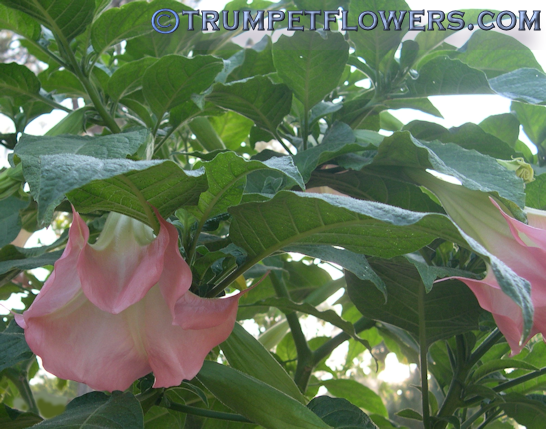 Brugmansia Emerald Frost is beautiful in full flush, with hundreds of blooms covering the branches. 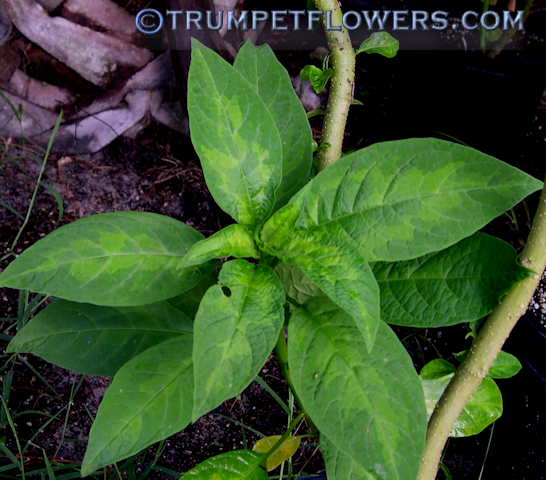 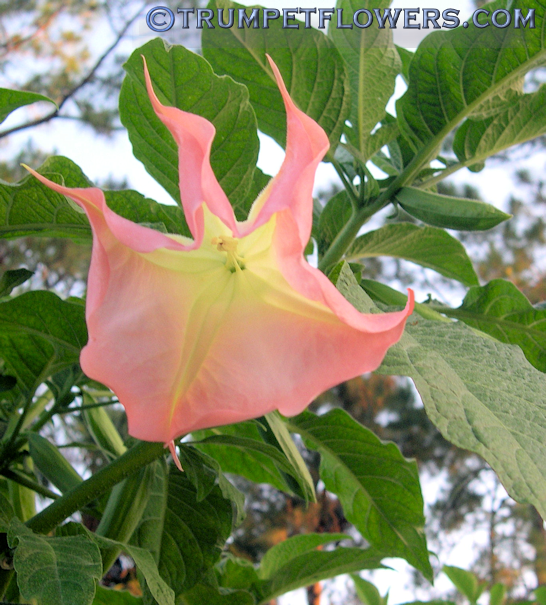 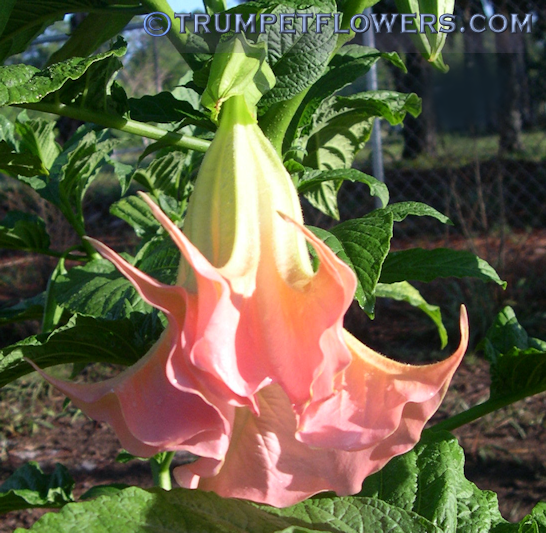 This entry was posted on February 11th, 2012 and is filed under Brugmansia Gallery.